Nadirim is a free browser-based game, but not your run-of-the-mill fantasy MMORPG experience. 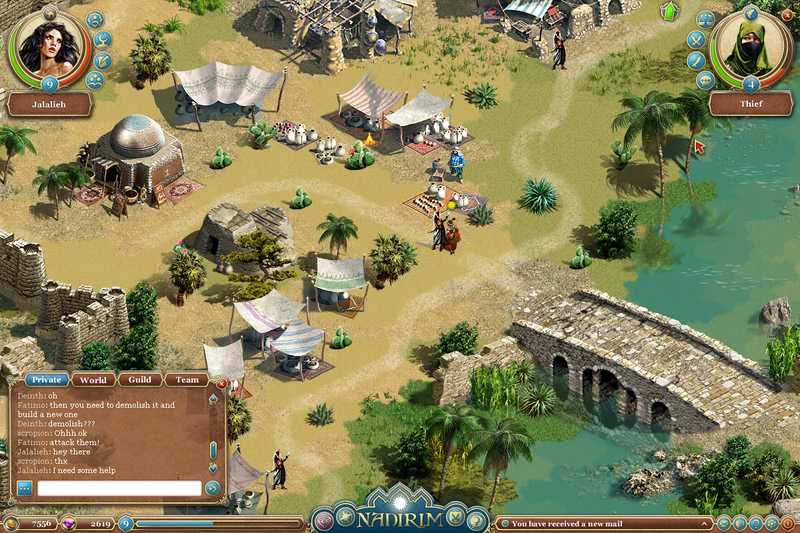 Developer Twisted Tribe were looking for new topics to explore and ended up in the Arabian Nights theme, one that has a lot of potential but that is still unexplored in the free-to-play games area. 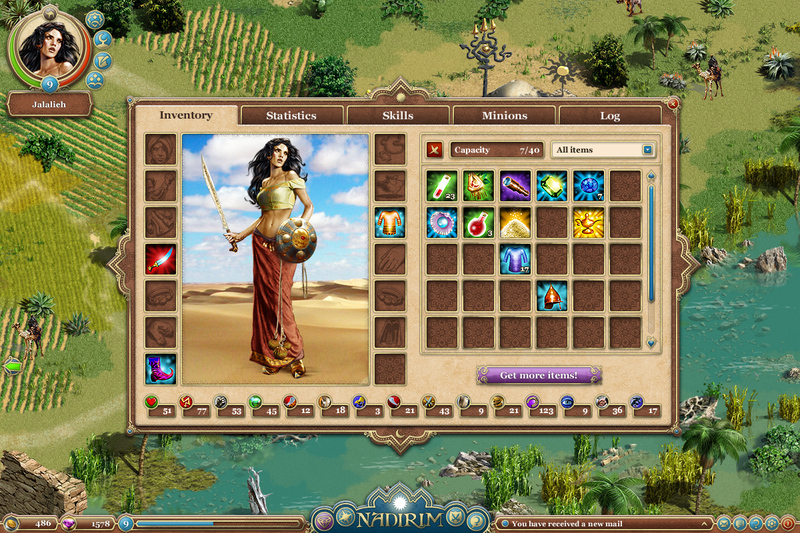 Players get to enter a world full of magic, with fable elements such as mystifying princesses, palaces, magic carpets and the inevitable desert. 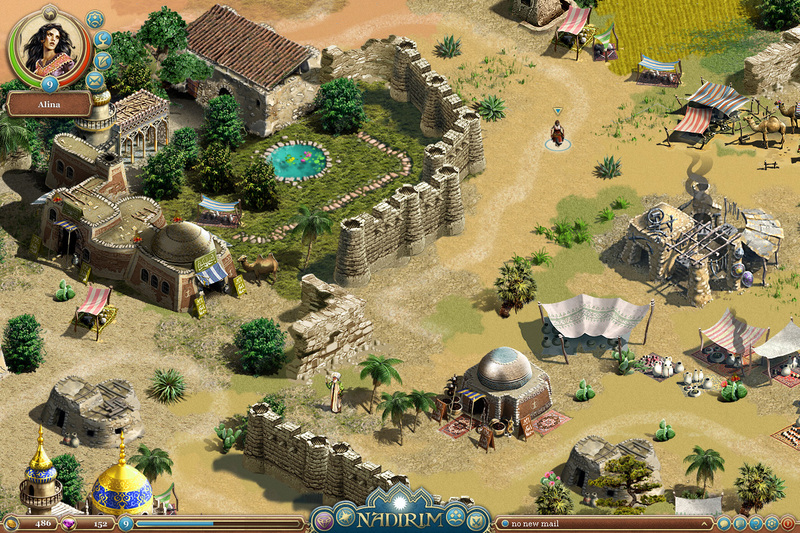 Gameplay resorts to some known mechanics such as quests, turn-based combat and trading, all in a world designed with great care and fantastic artworks. The game also features an original soundtrack to go with the beautiful graphics. By being a browser-based MMORPG, Nadirim developers are trying to reach a more broad audience while still maintaining the quality that can be found in some client-based games. There’s an engaging storyline with PvE and PvP options, exciting quests and combat. As far as this aspect goes, Twisted Tribe seems to think that most RPG players love card games, and so decided to create a scheme where the player has to set up the skills and plan their strategies ahead of the turn-based combat. It is fun and yet simple to battle in Nadirim. Nadirim offers five classes apparently very different to the usual free MMO games, albeit with some similarities: Warrior, Nomad, Caravan Master, Sage and Ruffian. All have their specific advantages and can be customized, and there are many skills to develop during the adventure. Minions are valuable additions that can only be captured and trained by the Nomad and Caravan Master classes. They can be human, animal or even mythological creatures and are able to help in combat or act as companions. A companion will bring the player regular bonuses such as more inventory slots or extra speed, and a combat minion will be a great help during the battles. With lush visuals and tried-and-tested gameplay mechanics, Nadirim is one of the few free-to-play games that tries to explore a different theme, a world where orcs and elves have no place. For that alone it should be experienced by any MMORPG fan.